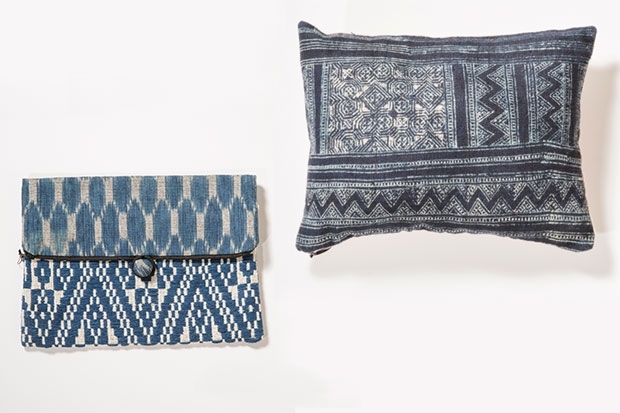 New in the Museum Shop are home design items and accessories from Fair Muse, which supports artisans in Northern Laos by connecting them with socially-conscious consumers—that’s you! 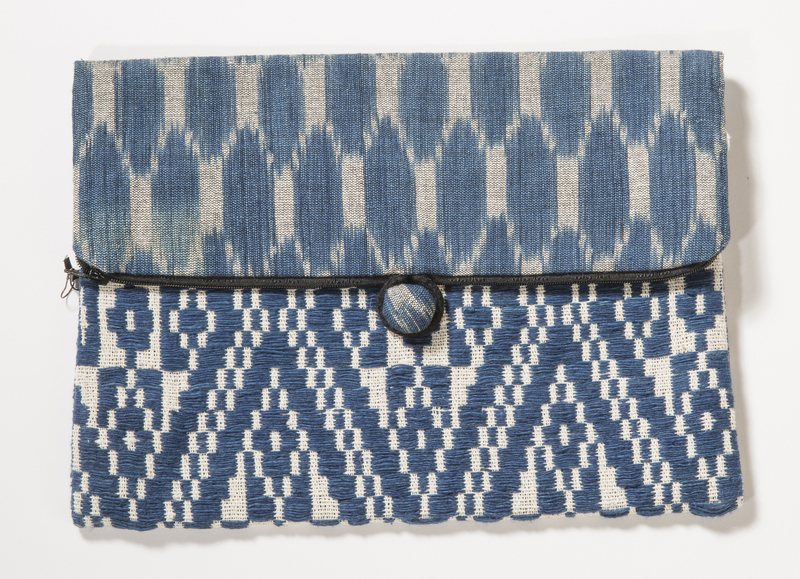 Founded by O‘ahu native Annaliese Kintscher, Fair Muse’s products are ethically sourced directly from skilled craftspeople. 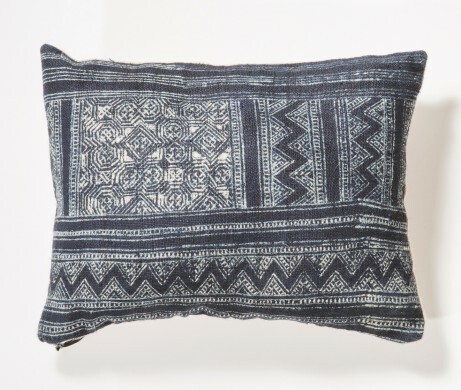 A pillowcase isn’t always just a pillowcase. This one, made by Hmong in the Huaphan Province of Laos, is woven from bark known as ton pau. The bark is boiled for two weeks before it becomes soft enough to strip and weave, then boiled again to reach the perfect firmness. 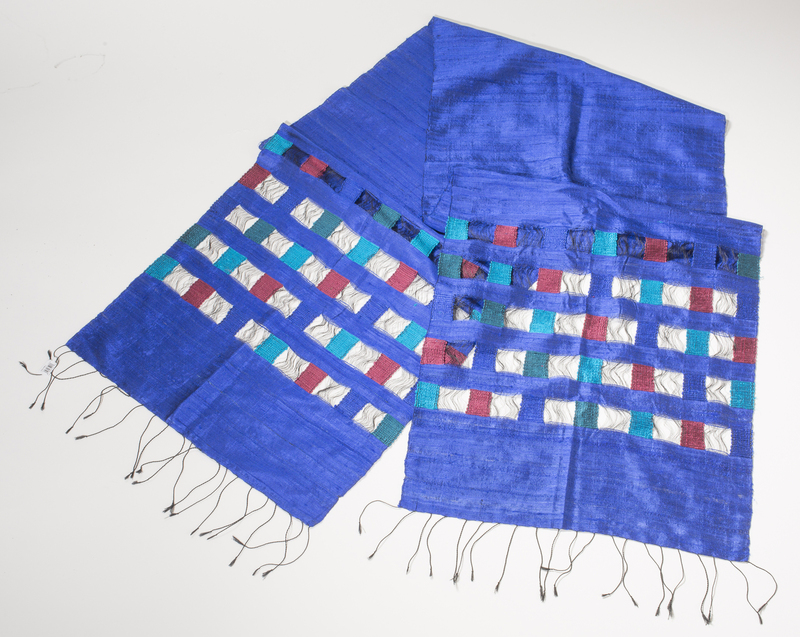 The design is made using limestone and dyed in indigo. These luxurious silk scarves come from a Tai Lue village known for its weaving. Each one takes about three days to create. Available in several colors and designs. These stylish clutches from Luang Prabang’s Nam Bak District, are made from handwoven, indigo-dyed fabrics. Available in several patterns.